Randy McLaughlin has a PhD. in Plant Pathology from the University of Wisconsin, has published many research articles on bacterial and fungal diseases of crops and has practiced his craft at Texas A&M University, Rutgers University and the USDA-Agricultural Research Service. Plants can be infected by viruses, viroids and a number of different types of microorganisms, including bacteria, fungi and mycoplasmas. 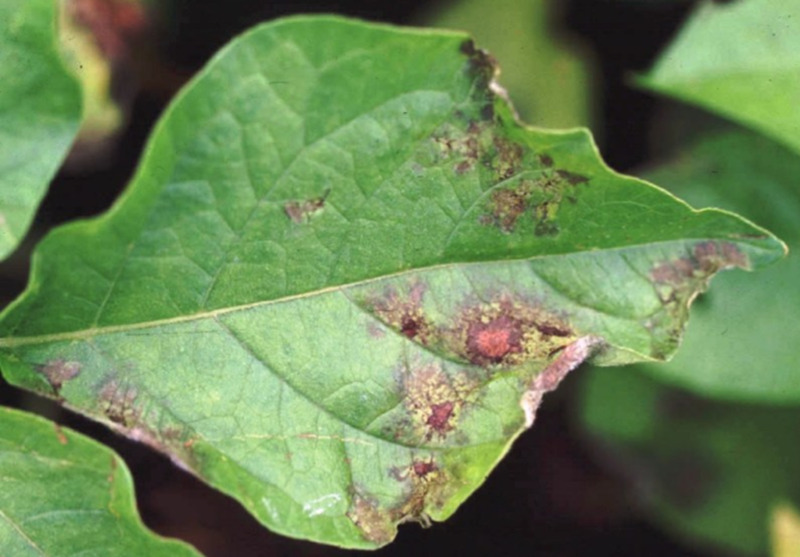 Fungal diseases of plants are very common, with there causing an estimated 10,000 different diseases, and their impact has sometimes led to widespread destruction of crops and even widespread starvation of populations in various locations across the globe. To provide a broader awareness of the impact of fungal plant diseases, I provide below a summary of several of the most important fungal diseases on plants, including non-crop species. The importance of these plant diseases is that they have shaped and affected world culture in some unique, and sometimes devastating ways; and each of these diseases has left us with some lessons. This essay includes fungal diseases that affect plant species of horticultural value as well as trees in native forests and urban settings. The Irish potato famine of the mid-nineteenth century is one prominent example of how a plant disease can have widespread effects. The famine was exacerbated by various factors, including political persecution of the Catholics by Protestants. 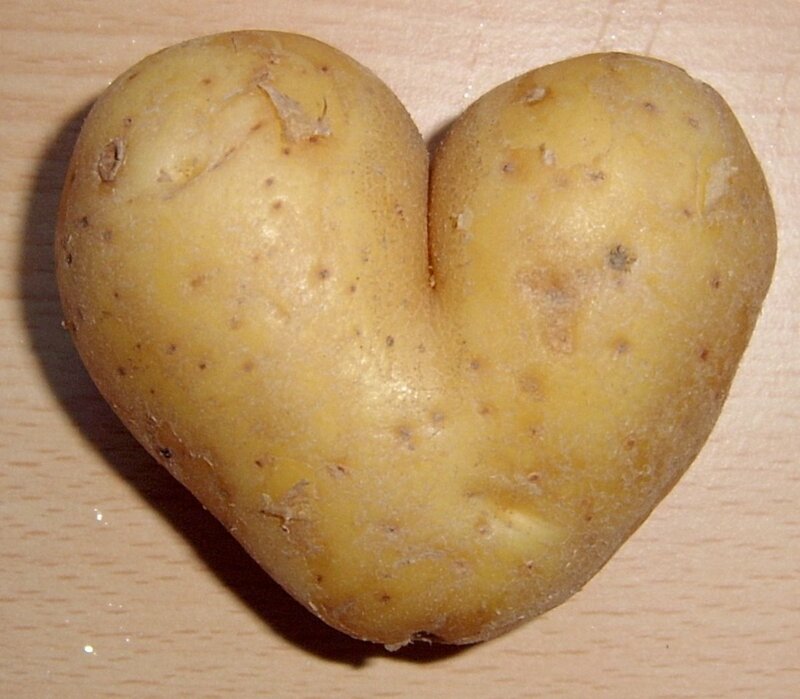 However, the people were over-reliant on one potato variety, or monoculture, as a food for both humans and livestock. The destruction was so widespread that it led to the deaths of an eighth of the population in the country, and it provided an impetus for many to emigrate from the country. Estimates of the total number of deaths during this period range from 500,000 to one and a half million. 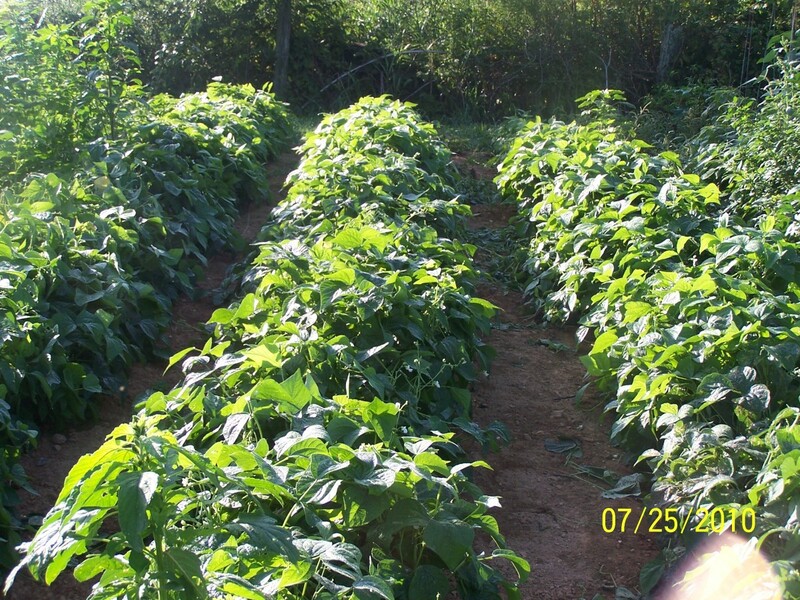 Late blight of potato still persists as a problem in potato culture. It is controlled in a large degree due to chemical applications of fungicides. However, the fungus-like organism continually evolves into forms that are resistant to fungicides. So, management of the various type of fungicides used in commercial agriculture is an important measure to keep this disease in check. Another great famine, the Great Bengal Famine, occurred in 1943. There is strong evidence that a disease called brown spot had a pivotal contributing role in the massive loss of human life in this region of northeastern India, now known as Bangladesh. Before the famine occurred, a significant portion of the poorly-fed and nutritionally deficient population had been dependent on imported of rice to sustain its needs. And, it was known that over 7 million people's livelihood depended on small plantings of rice of 1 hectare or less in size. 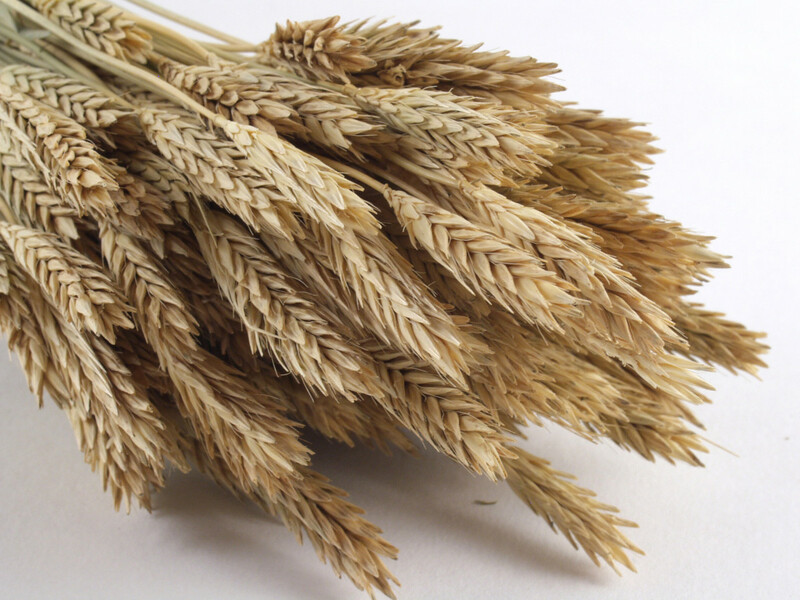 In 1942, a major outbreak of Brown Spot of rice led to a lack of domestic supply for the people of Bengal. Economically, the people of Bengal were in a vise. The high price of imported rice made its purchase by ordinary poor citizens impossible. 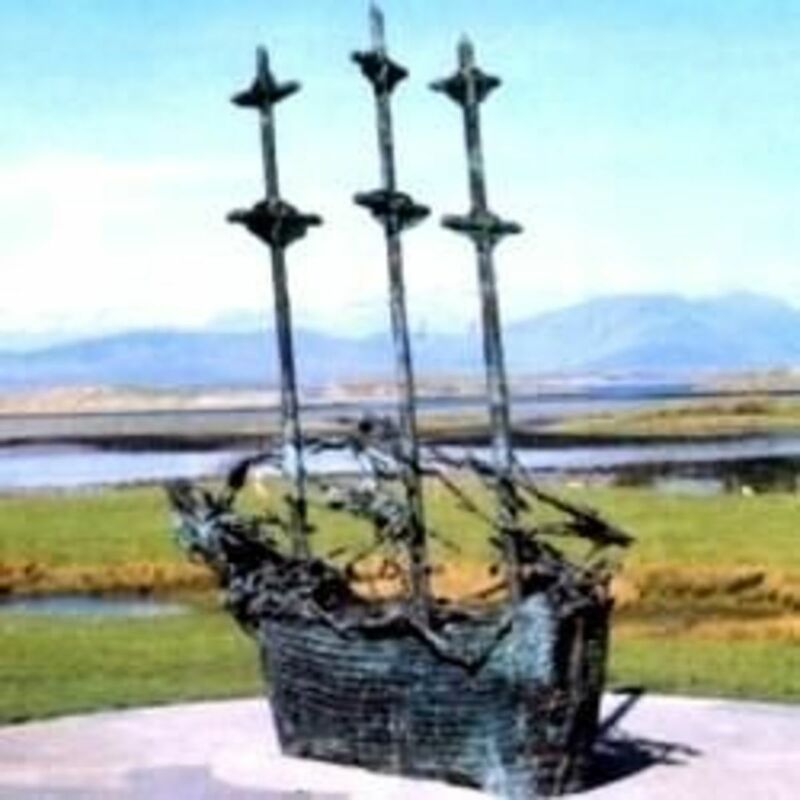 In addition, war efforts against Japanese aggression stripped resources like boats from fishing communities, making it impossible for them to obtain their food or to obtain income to purchase food. The deaths of at least 3 million or more people occurred during the following year. War-time news blackouts by the Allies kept the news of this out of the world press. Brown Spot continues to be a persistent problem where rice plants are grown in nutritionally deficient soils. Addition of calcium silicate to soils helps grow plants that are resistant to the disease. 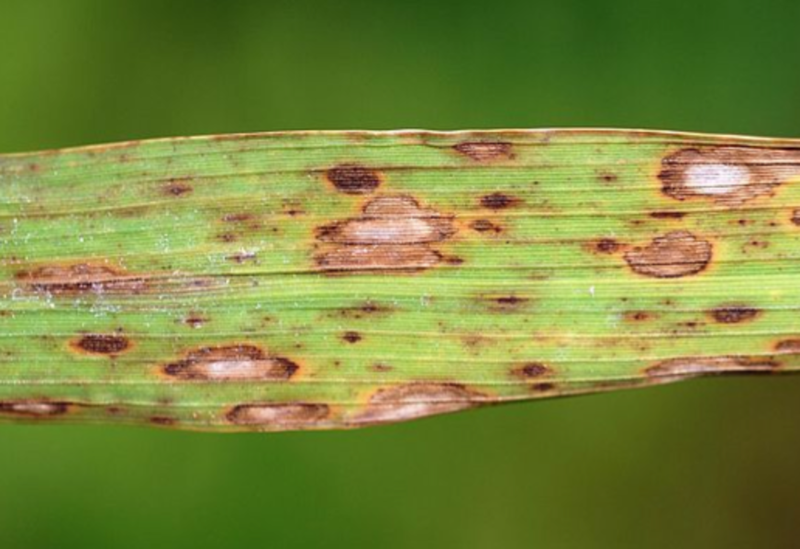 Related diseases that currently have a significant economic impact across the world are Southern Corn Leaf Blight and Helminthosporium Blight of Oats. Coffee Rust has an apt name because, when you look at an infected leaf's lower surface, you can see evidence of spores that are a golden rust color. This disease was first described in a production area in 1875 in what was then known as Ceylon. When the perennial coffee shrub becomes infected by the fungus, the leaves drop, so there is a significant reduction in coffee production. Without photosynthesizing leaves, the plant isn't able to produce enough energy to make a crop. The disease is endemic in portions of East Africa, where wild coffee species have a very small incidence of the disease. The fungal spores require free moisture and a narrow temperature range to survive, germinate and infect the leaf. When it was imported to the Arabian Peninsula in the 1500s, these plants were grown in a disease-free environment and were the stock that populated the plantations in Southeast Asia. So, when the disease first appeared in the plantations there, it took the growers by surprise and it was ultimately very devastating due to the favorable climate for disease development. Before this disease ravaged the coffee crop in all of the major production areas in Southeast Asia, there were thousands of coffee shops all over London. As a result of this disease problem, growers switched to the production of tea instead (which was more suitable to the climate) so, as a result, Britain transformed into a nation of predominantly tea drinkers. Currently, a significant portion of the world coffee production now occurs in Central and South America. Coffee Rust was introduced in Brazil in 1970 and in Nicaragua in 1976. Because of management methods, including fungicides and shade management, the disease has been mostly a nuisance to coffee farmers in these regions. However, recently, there has been a serious increase in incidence of this disease that has been reducing yields. In fact, a state of emergency has been called for the control of this disease in Costa Rica. The tree diseases known as Chestnut Blight and Dutch Elm Disease severely affected the presence of these two important species in the continental United States. It was around the turn of the 20th century that Chestnut Blight was introduced and began infecting the American chestnut species (Castanea dentata). By 1950, this disease had reached all areas where the tree could be found in the eastern half of the United States. 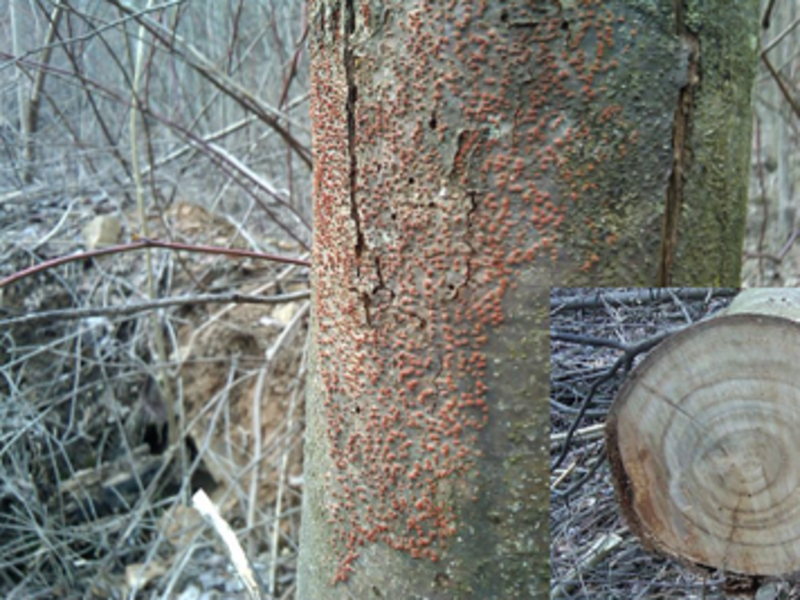 The fungal pathogen, Cryphonectria parasitica, infects the bark of the tree; and, when the infection proceeds all around the circumference of the tree, it shuts off the tree's vascular system causing all tissue above the canker to die. Existing stands of chestnut are now only in the understory of forests, where trees sprout branches below the cankers. The once majestic tree is now reduced to a shrub. The Future of the Chestnut in the United States. 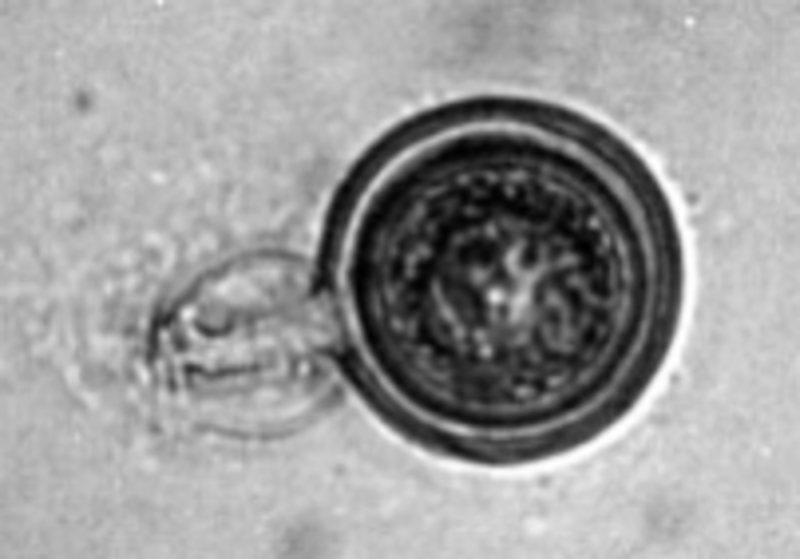 Several different strategies have been employed, including the making of hypovirulent strains, biological control and conventional breeding programs. 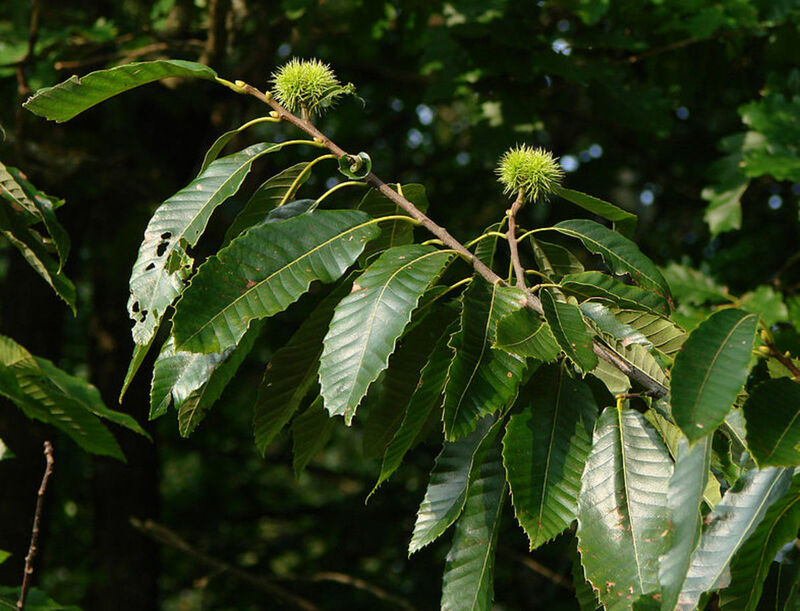 The conventional breeding programs seem to have the most promise, because they have identified dominant genes for resistance from the resistant Asian chestnut. Thus, there is good hope that there will be resistant trees for commercial planting and reforestation. Funding is always a challenge in long-term breeding programs, however. Dutch Elm Disease. 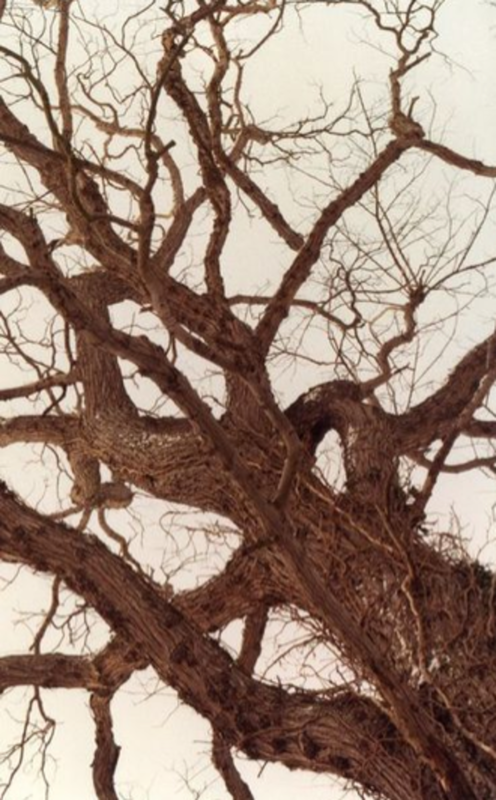 This disease devastated plantings of the American Elm in the urban landscape. It is caused by the fungus Ophiostoma ulmi (formerly Ceratocystis ulmi), which was introduced to the U.S. from imported logs from Europe which still had their bark intact. Dying trees were first observed in Ohio in 1930, and the disease spread to its fullest extent in the U.S. by the late 1970s. The fungus is transmitted from tree-to-tree by bark beetles. 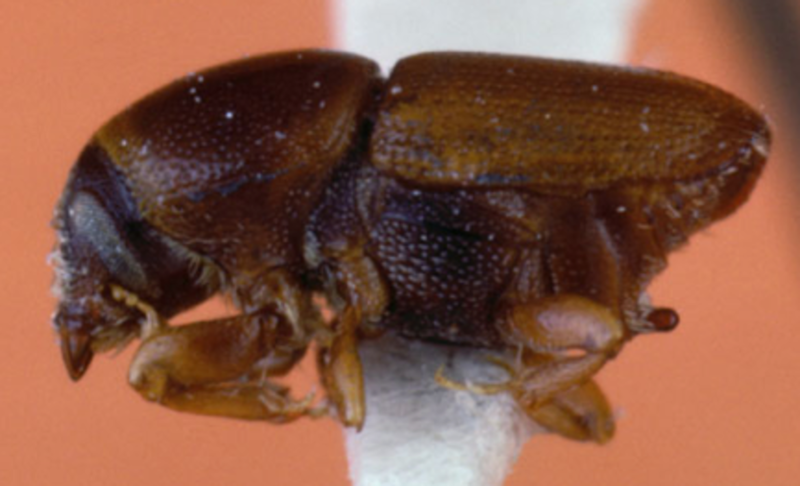 European elm bark beetles are the most effective vectors of this disease. Transmission has also been observed via root grafts of neighboring trees. Adult beetles emerge from brood nests having the fungus both within the body as well as on its surface. They feed on limbs and the disease is first seen as a limb dying off in the upper part of the tree. The fungus progresses throughout the whole tree, shutting off its vascular system. Resistance to Dutch Elm Disease. A small proportion (0.001 %)of native trees show resistance to this disease. The National Arboretum released two cultivars that have resistance in 1996, "New Harmony" and "Valley Forge." Thus, it is possible that the American elm will rise again in importance in the urban landscape in the future. A great guide for identifying plant diseases to help you on your way to growing healthy plants. 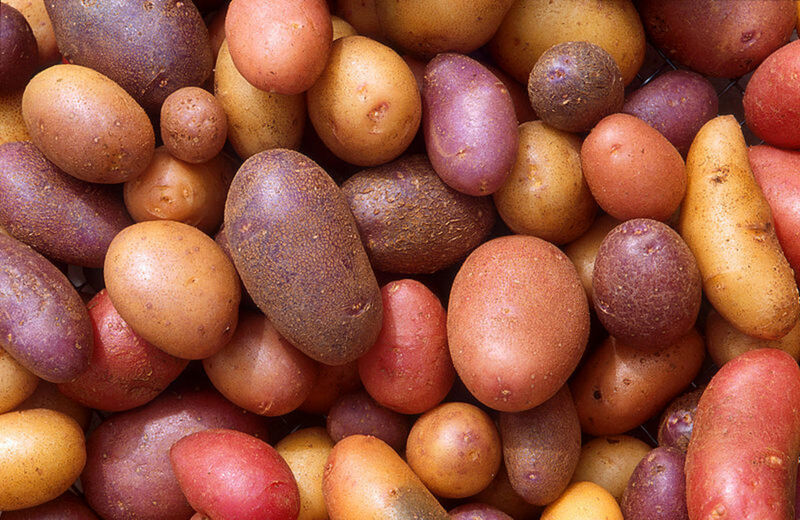 Monoculture and the Irish Potato Famine: cases of missing genetic variation. University of California, Berkeley. Stuart McCook. 2006. 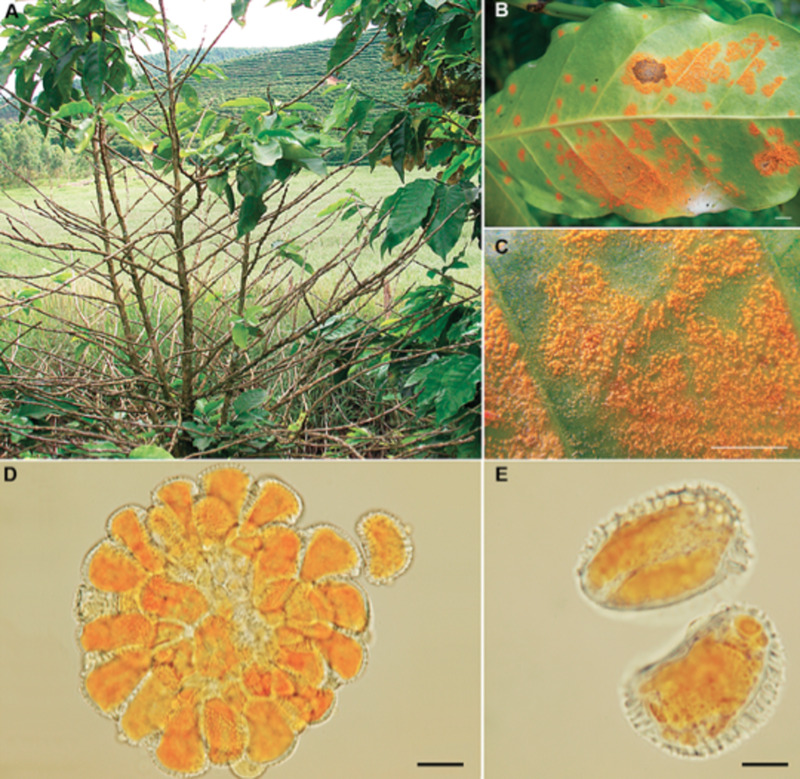 Global rust belt: Hemileia vastatrix and the ecological integration of world coffee production since 1850. J. Global Hist. 1: 177-195. The Bengal Famine of 1943. University of California, Berkeley. Scharlbaum, Scott E. Three American Tragedies: Chestnut Blight, Butternut Canker and Dutch Elm Disease. USDA-ARS.